The entire staff at The Laura Gregory Salon is friendly, highly-trained, skilled and experienced. They are here to welcome you and to meet all your beauty needs. I am extremely fortunate that I have found a career that is so satisfying. I look forward to going to work every day. Each day in the salon is something new. I am grateful to be in a position where I help people to look and feel good about themselves, which I believe is empowering to both parties. I am also very proud of the business I have built with my close friend of many years, Greg Harman. We strive to go above and beyond our customers' expectations while empowering our employees to succeed. The newest addition to The Laura Gregory Salon, Natalie is a graduate of The Aveda Institute of Columbus. After graduation, she was employed at a corporate salon for 2 years that specialized in men’s and short haircuts. Being extremely talented in many other areas of hair design, particularly cutting and styling, Natalie searched for a salon where she could contribute those talents. 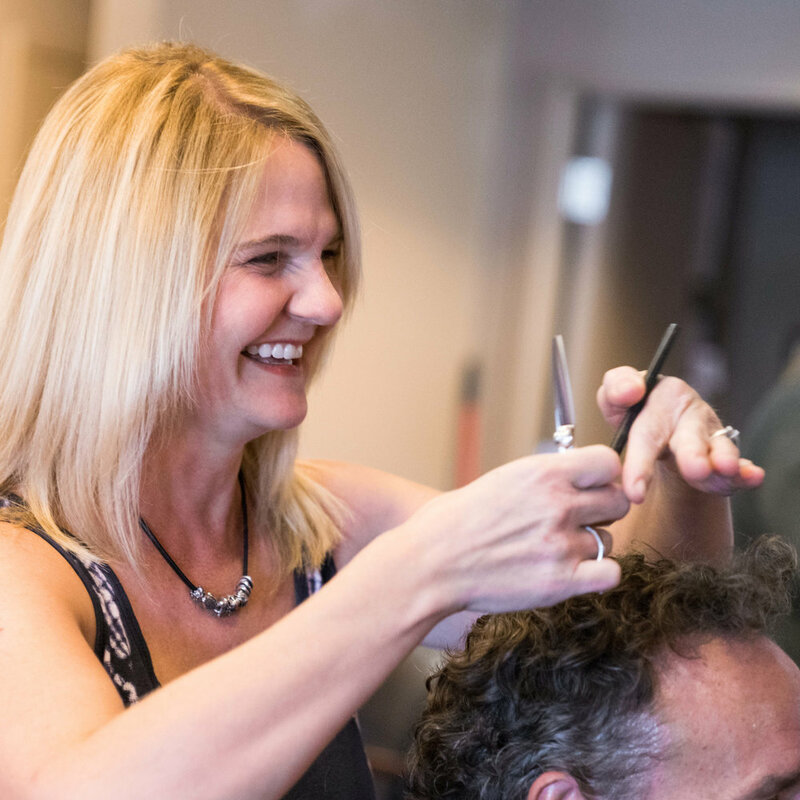 Since joining The Laura Gregory Salon, Natalie has attended many classes, becoming certified with L’Oreal Professionnel color systems and Simply Smooth Keratin Treatment Systems. She excels in formal and special occasion styles. After giving his first haircut at seven years old, Jon was on his way to a career is the industry. He attended Cosmetology school after high school and had advanced training in London and Pittsburgh. With a career spanning over 35 years, his experience and training is vast. He has seen many trends come and go, but still looks forward to coming to the salon. 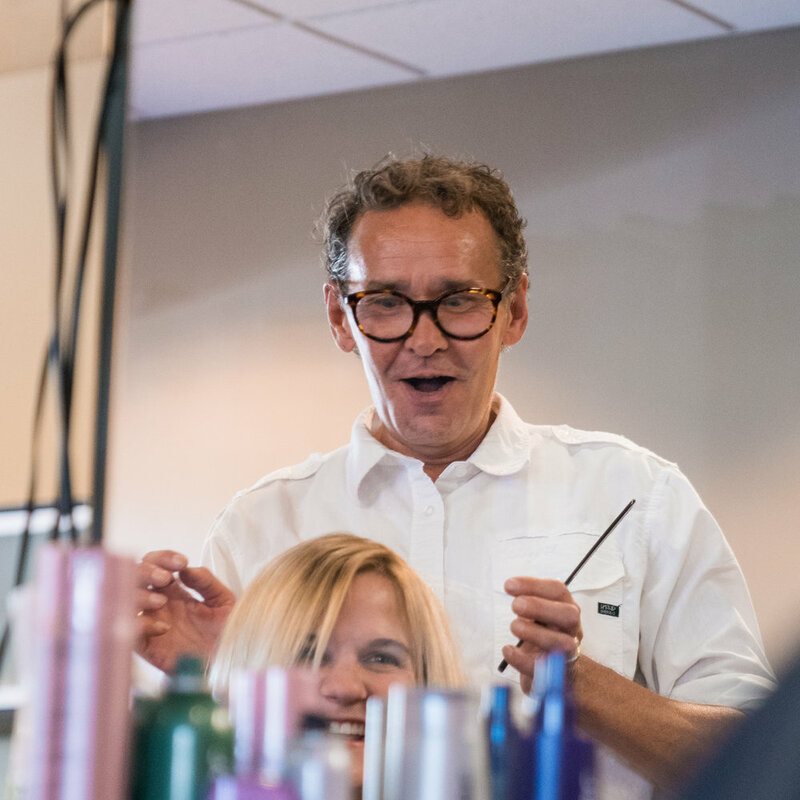 He has been a member of The Laura Gregory Salon team since its inception. Jon is our “social director.” No matter whose chair you are in, chances are Jon will come by and say hello. Through my work, I watch spirits lift as the people who sit in my chair see what I see in the mirror - something beautiful. Something positive. Something possible. My clientele is very special to me. Many of them I have known and worked with for years... and their children...and their children’s children. I’m quite proud of the work I’ve done, and I cherish the relationships I have made. In 2003, I opened The Laura Gregory Salon with my friend of over two decades, Laura Puhl. I couldn’t be more proud of this space and the atmosphere we have created together. 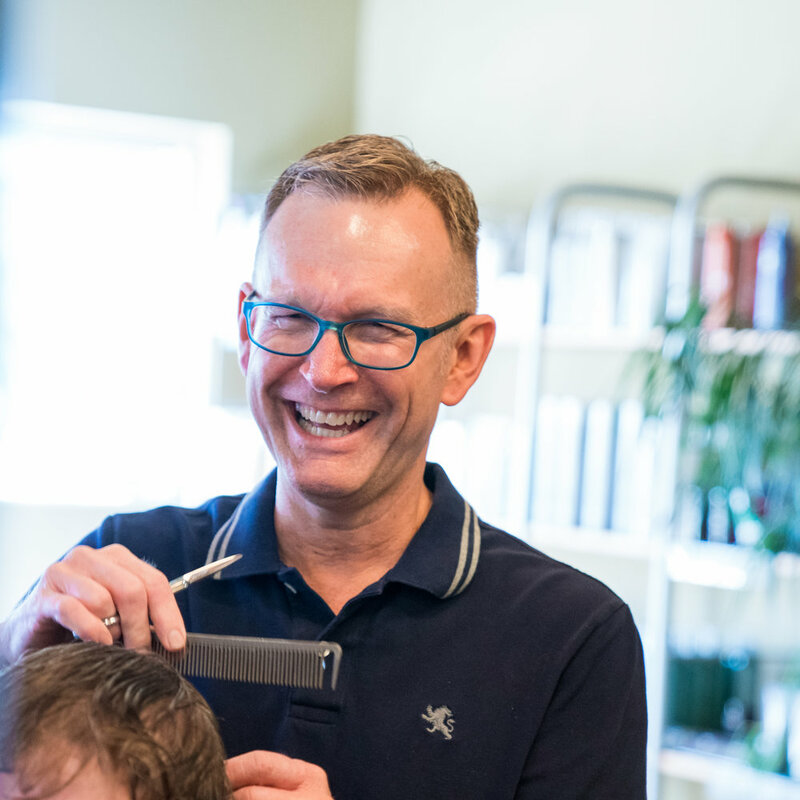 Ken has 25 years of experience with hair design, the majority of which has been spent as a colleague and friend of Laura and Greg. He is a master hair designer with particular expertise in cutting and color. He is an extremely kind and caring person, willing to listen to your needs and share advice to come up with the best style for you. Originally from Steubenville, Ohio, home of Dean Martin, Maureen has made the Columbus area her home since 1995. Maureen knew at a very young age that she had a passion for bringing out the beauty in others. She was the "go to girl" for hair and makeup for any formal event in high school. 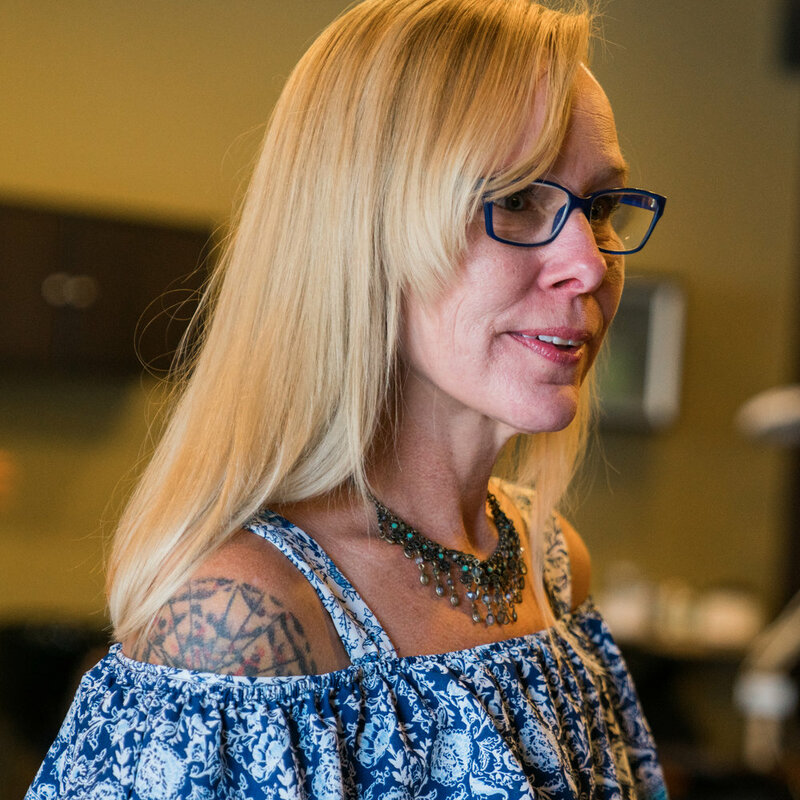 After graduating at the top of her class from The Ohio State School of Cosmetology, Maureen began working with Laura and Greg even prior to the opening of their flagship salon in 2003. Maureen focuses to elevate her craft in every way that she can. Making sure she has the education and skills for the latest trends in styling and color, Maureen was invited to join the spa team at The Laura Gregory Salon as well. "You wear your hair and skin every day, you should invest in it, just like a great pair of jeans or an awesome handbag". Andie’s talent is in listening and connecting with her clients and putting them at ease to express themselves and their ideas. With her special attention to detail, she is able to create powerful cuts that harmonize the client’s hair texture, personality and lifestyle, resulting in a unique design suited to the individual that addresses each of his/her particular needs. She is also a masterful color artist and is well known for her coloring and highlighting perfection! Added to her list of abilities is expert facial waxing, specializing in eyebrow shaping. Her relationship with her clients is second to none. She’s the first one to tell you how lucky she is to have found her calling. Amy, (known as Amy Beth by many) grew up with a love for Art and Fashion Design, so it was no surprise when she decided to attend hair design school. One of the most exciting and influential experiences she had while attending school was traveling to the New York Hair Show. It inspired her to travel and pursue a higher education in hair design. Academies that she has attended include The Aveda Institute in Minneapolis Minnesota, Vidal Sassoon in London and Los Angeles and John Deleria in Boston, MA. She still aspires to learn as much as she can about new techniques, and current styles and trends. Rosanne has been a stylist at The Laura Gregory Salon since 2009. She is a graduate of Nationwide Beauty Academy and Pivot Point International, and apprenticed with Michael Azzaro. Rosanne is a naturally talented stylist who continues to hone her craft through continuing education classes and by successfully completing the training for the L'Oreal Professionnel Expert Network. 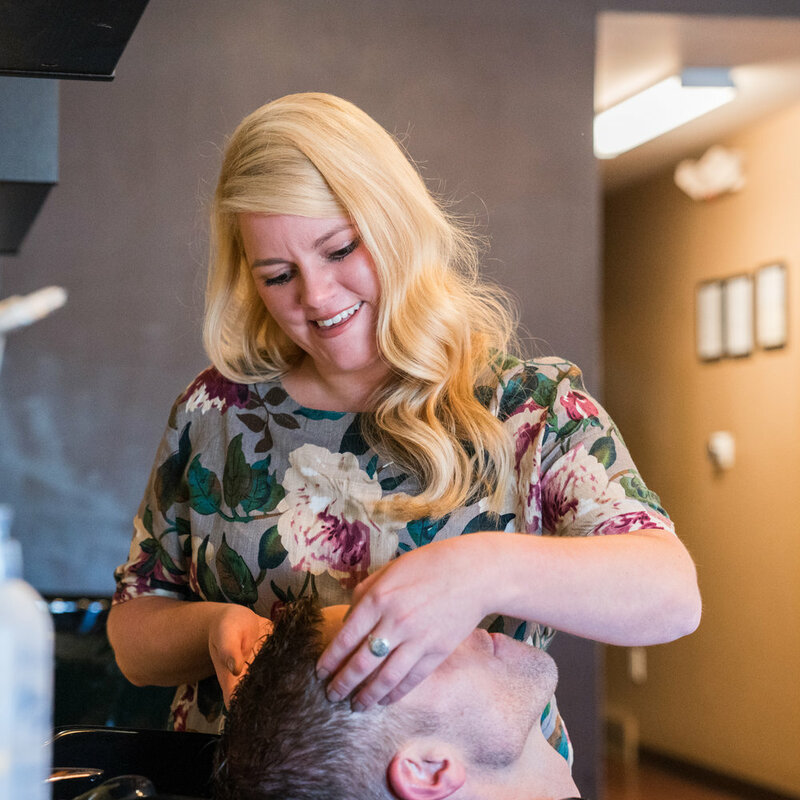 She loves cutting, coloring and styling hair, and especially finding the right look for each individual client.